Indonesian authorities must immediately and unconditionally release five men who have today been sentenced to three years’ imprisonment for taking part in a peaceful gathering in Papua province in October 2011. The court decision significantly erodes Indonesia’s respect for freedom of expression and peaceful assembly. Forkorus Yaboisembut, Edison Waromi, August Sananay Kraar, Dominikus Sorabut, and Selpius Bobii were each sentenced to three years’ imprisonment by the Jayapura District Court. They were arrested on 19 October 2011 for participating in the Third Papuan People’s Congress, a peaceful gathering held in Abepura, Papua from 17-19 October 2011 and charged with “rebellion” under Article 106 of the Indonesian Criminal Code. Amnesty International considers all five men to be prisoners of conscience. They join over 90 political activists in the provinces of Papua and Maluku who have been imprisoned solely for their peaceful political activities. The rights to freedom of expression and peaceful assembly are guaranteed in Article 19 and Article 21 of the International Covenant on Civil and Political Rights (ICCPR), to which Indonesia is a state party, as well as in other international instruments. Moreover, these rights are protected under Indonesia’s Constitution. While the Indonesian government has the duty and the right to maintain public order, it must ensure that any restrictions to freedoms of expression and peaceful assembly are no more than is permitted under international human rights law. 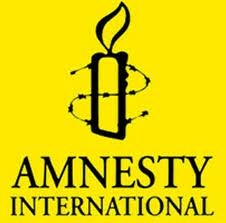 Amnesty International has also received credible reports about threats and intimidation against the five and one their lawyers during their trial. Amnesty International expressed its concern about these reports in a letter sent to the Indonesian authorities in March 2012, pointing out that these allegations, if true, undermine the credibility of the judicial process in Indonesia, and specifically in the Papua region. Amnesty is also concerned about the authorities’ lack of progress in investigating allegations of human rights violations committed by the security forces on the final day of the Congress. On 19 October police units supported by the military surrounded the venue and fired shots into the air to break up the gathering. As participants began to flee, police units from the Jayapura City police station and the Papua regional police headquarters arbitrarily arrested an estimated 300 hundred people and allegedly kicked and beat some of them. Most were released the following day. Three people were later found dead at the scene and over 90 people were reportedly injured. A National Human Rights Commission (Komnas HAM) investigation found evidence of human rights violations by the Indonesian security forces, including violations of the right to life, unnecessary and excessive use of force, and ill-treatment. While 17 police officials subsequently received administrative sanctions for violating disciplinary procedures, these internal disciplinary hearings did not deal with the allegations of human rights violations that occurred. Amnesty International calls on the Indonesian authorities to conduct an independent and impartial investigation into all allegations of human rights violations by the security forces during the Third Papuan People’s Congress. Should the allegations be verified, those responsible, including those with command responsibility, should be brought to justice in fair trials and the victims receive reparations. Amnesty International takes no position whatsoever on the political status of any province of Indonesia, including calls for independence. However the organization believes that the right to freedom of expression includes the right to peacefully advocate referendums, independence or any other political solutions that do not involve incitement to discrimination, hostility or violence. The decision to sentence these brave individuals suggest that the Indonesian President has forgone his own promise to engage in peaceful discourse with the people of West Papua. Amnesty International has not had any influence in this matter, given that the Indonesian President is totally unconcerned in the way his severely out of control blunt and aggressive Military Forces deliver their harshest oppressions upon the West Papuan people. 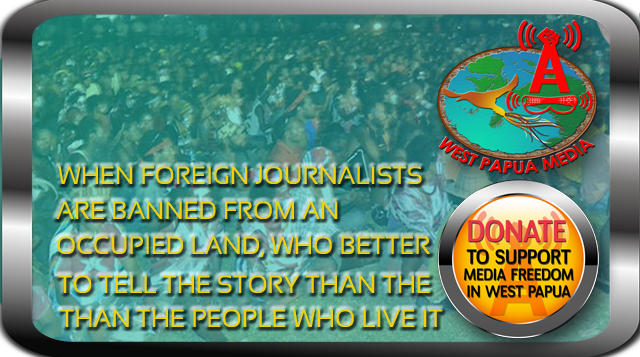 To think that some of the Worlds largest mining conglomerates are part and parcel to this brutal suppression of the West Papuan people?